Where are Pravda-tv.ru website's visitors located? From the map below, you will know that most of the visitors to this site are from Russia, there are about 1,395 visitors per day. 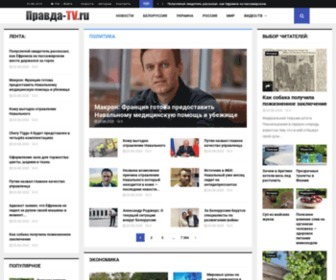 Which search keywords send traffic to Pravda-tv.ru website? From the chart below, you will know that there are a lot of visitors to this site by searching the keyword "Россия на зимних Олимпийских играх 2014 в Сочи". Where is Pravda-tv.ru website's server located? This site has 1 server, the server is located in Germany. Here we know the reputation of Pravda-tv.ru through several ways. From the chart below, we know that the safety status of the site is safe. From Oct 14, 2012 till now, we detected 3 times on Pravda-tv.ru website. we found that the average Google pagerank is 3. Recently the site was detected on Mar 22, 2014, the Google pagerank is 3. From Oct 14, 2012 till now, we detected 2 times on Pravda-tv.ru website. we found that when you open the site would take an average of about 2.107 seconds to load completely. Recently the site was detected on Jul 3, 2013, it took 2.008 seconds. From Oct 14, 2012 till now, we detected 3 times on Pravda-tv.ru website. we found that this site has an average of 286 backlinks. Recently the site was detected on Mar 22, 2014, there are about 277 backlinks were found. What websites link to Pravda-tv.ru? The websites below are linking to Pravda-tv.ru. What websites are similar to Pravda-tv.ru website? The websites below are similar to it. This is the domain name information about Pravda-tv.ru. With this information, you will know that it has been registered for 10 years, will expire on 16 Oct 2017, was registered on the website reg.ru, etc.